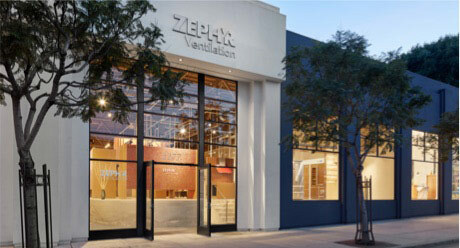 SAN FRANCISCO, June 6th, 2017 — Zephyr, the industry leader in ventilation hood design, innovation and technology, is leading the industry in ventilation lighting with its BriteStrip™ and Bloom™ GU10 LED lights that are energy efficient, have a longer life, and contribute to the overall aesthetic of a well-designed kitchen. While practical lighting is necessary for all homes, when lighting is elevated to the next level it can truly transform a space. LED lighting is the way of the future with the ability to enhance a room from both a design and functionality standpoint. From cabinet and showcase lighting to under-cabinet and backlit lighting, designers are pushing boundaries with LED options to provide the best possible design solutions. BriteStrip™ LED lighting is now available in select Essentials Collection hoods, including Anzio Wall/Island, Breeze 2 Under Cabinet, Lucé Wall/Island, Ravenna Wall, Roma Wall/Island, Savona Wall, Siena Wall, and Siena Pro Wall/Island. Zephyr will soon offer LED lighting options in almost all of its hoods by the end of 2017. 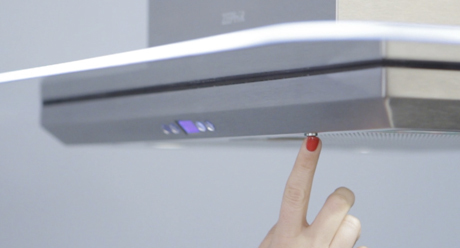 The energy-efficient BriteStrip™ outputs an even 3,000K (Kelvin temperature scale) warm white color to ensure the cooking surface is properly illuminated. 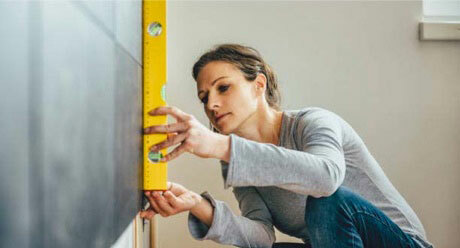 LED lighting also contributes to a vast range of color variations, which enables designers and homeowners to use colored lighting as part of the kitchen design process. Zephyr’s Lucé and Verona range hoods feature Cloud White, Deep Blue, and Amber LED lights that wrap around the hood’s perimeter. With different levels of lighting and the numerous color options, the kitchen becomes more balanced, inviting, and gives an intimate glow to the kitchen at night. Zephyr’s Bloom™ GU10 LED lights are the only dimmable GU10 LEDs using standard 120V AC power that are approved for use in a range hood. The energy efficient, 6-watt LEDs last up to 20,000 hours, which equate to approximately 30 years, and provide near-halogen light warmth. The Bloom™ GU10 LEDs were designed as an upgrade and direct replacement for traditional halogen lights on any hood that utilizes a GU10 bulb. The lights are compatible with all Zephyr hoods using GU10 halogen light bulbs as well as many non-Zephyr hood brands.